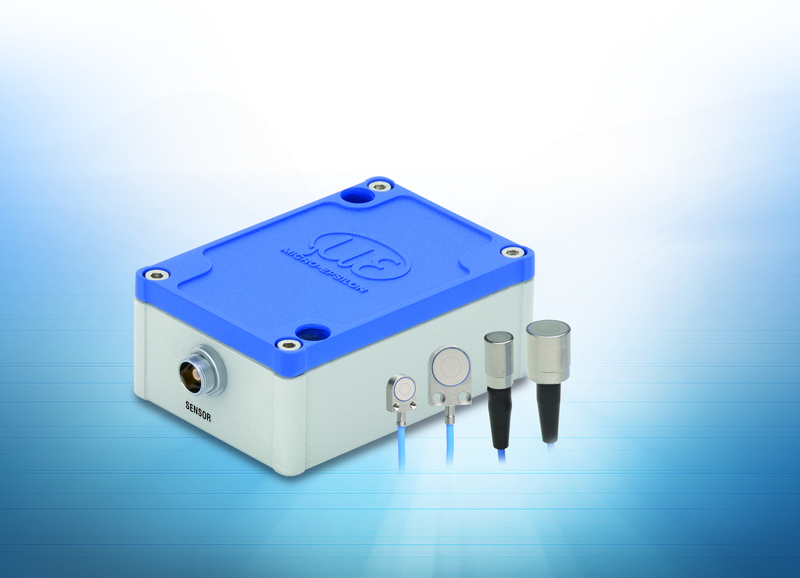 Specially developed for displacement, distance and position measurements in OEM and high volume applications, the new capacitive capaNCDT 6112 controllers offer a unique combination of high speed and compact size. A bandwidth of up to 20kHz enables the new capaNCDT 6112 controller to reliably monitor fast processes. A compact design and user-friendly handling make the controller suitable for measuring displacement, distance and position in a diverse range of applications, from test cells to highly automated environments and is therefore ideal for OEMs and high volume applications. With maximum bandwidth, the system provides a resolution of 0.03 % FSO. Offering highest flexibility, the controller is compatible with all sensors and cables of the capaNCDT series. Capacitive displacement measurement is one of the most precise and reliable non-contact displacement measurement techniques. Capacitive measurement systems from Micro-Epsilon are used for displacement measurement of electrically conductive objects, e.g. metals, graphite, silicon and water. Furthermore, displacement and thickness measurements of insulators such as plastics, porcelain and glass are also possible. Two-sided thickness measurements are carried out using at least one pair of sensors mounted opposite each other in one axis. The versatility of the sensors is shown by the different parameters that can be measured: oscillation, amplitude, clearance, position, tilt angle, planarity, profile, deformation, gap, stroke, roundness, thickness, displacement and contour. Typical capaNCDT 6112 applications can be found in machine building, test cells and automation technology.